The big game is coming up this weekend. And while some women may certainly be into the game, for me the most fun is found in the commercials and the snacks! 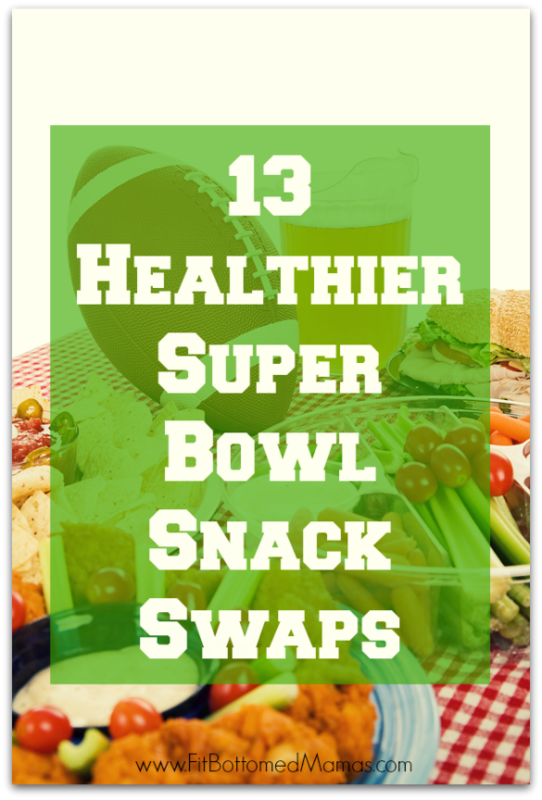 Unfortunately, football snacks aren’t known to be chock-full of nutrition, and the mindless munching over several hours may leave you clutching your stomach. But today, Charles Platkin, a professor at the CUNY School of Public Health at Hunter College in New York City and editor of DietDetective.com shares better-for-you swaps that won’t have you feeling like you swallowed a linebacker! 1. The splurge: Two slices of Dominos Bacon Cheeseburger Feast hand-tossed specialty pizza. Each slice is 490 calories. The swap: Try thin-crust pizza, and if you really want to be super healthy, try getting pizza without the cheese and adding your own Parmesan. 2. The splurge: Four Dominos Stuffed Cheesy Bread with Bacon & Jalapeno. While the stuffed cheese bread is probably very tasty, with all that fat it’s also a calorie killer at 160 calories per piece, or 640 calories for four. The swap: You can toast 100 percent whole-wheat pita bread with butter spray and top with Parmesan cheese. 3. The splurge: A handful of pita chips, dipped in artichoke dip. Each chip is 13 calories, plus just 1 tablespoon of dip, probably just about a chip’s worth, is 80 calories. The swap: Make your own 100 percent whole-wheat pita chips, and use salsa instead of the artichoke dip. There are many different kinds of salsa to choose from—spicy, mild, fresh, mango. They’re good, and they’re only 15 calories per tablespoon.